Hi guys ! 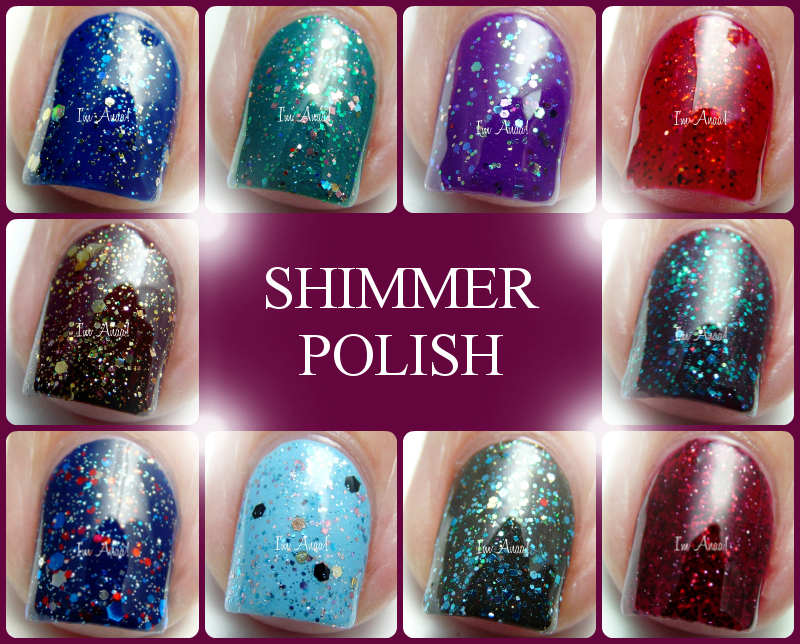 The Shimmer Polish week is now over so here is a little round up! Link to the original post ! No issue to report about these 10 nail polishes, they're all gorgeous and easy to apply. You can use them as a topper or apply 3 coats directly on your base coat! Well, except for Astrid and its iridescent glitter... this one needs a base color for a better look. The Shimmer Polishes are available on Etsy and retail at $12. * These polishes were sent to me for my honest review. Please see my disclosure page for more information.